Tallaght means business – online! 29 Aug Tallaght means business – online! €2,500 grant can help grow your business through the Trading Online Voucher Scheme – Minister Katherine Zappone TD. 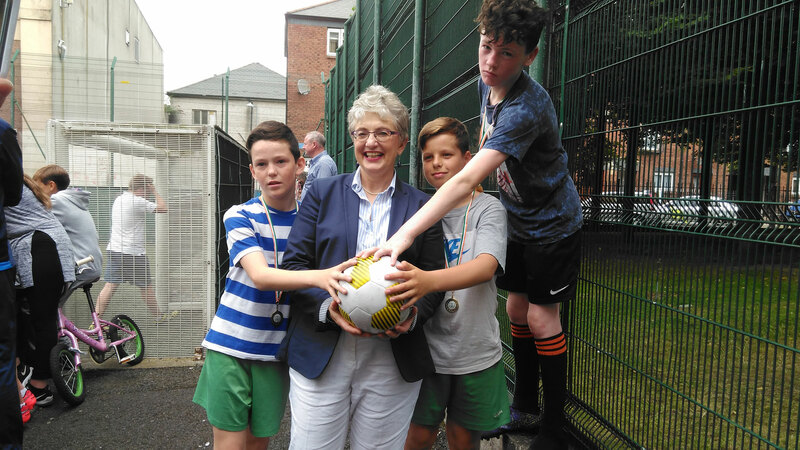 Tallaght firms wishing to join the revolution in online shopping and trading can avail of a new grant being offered by the Government, according to Dublin South West TD and Minister for Children, Dr Katherine Zappone. The Independent Minister says the grants are being provided to allow local businesses to take a slice of the €850,000 shoppers spend every hour online, 24 hours a day, every day. The funding is being made available after research showed that one in four small businesses are missing out on the opportunity to expand and create new jobs. The Trading Online Voucher Scheme is a Government initiative lead by Minister for Communications Denis Naughten TD to assist small businesses to trade online. Operated through the national network of 31 Local Enterprise Offices, the scheme offers a financial incentive of up to €2,500 (subject to match funding), along with training, mentoring and networking support. If you own a small business, with 10 or fewer employees and less than €2m in revenue, with little or no capacity to trade online, call your Local Enterprise Office. Over 2,000 small businesses have benefited so far, and roll-out of the scheme continues nationwide. Increase your business exports – 3 in 5 export for the first time.